You can have an ordinary green landscape but if it is well organized, its beauty enhances upto a hundred times. To organize the things in a set pattern is kind of art. 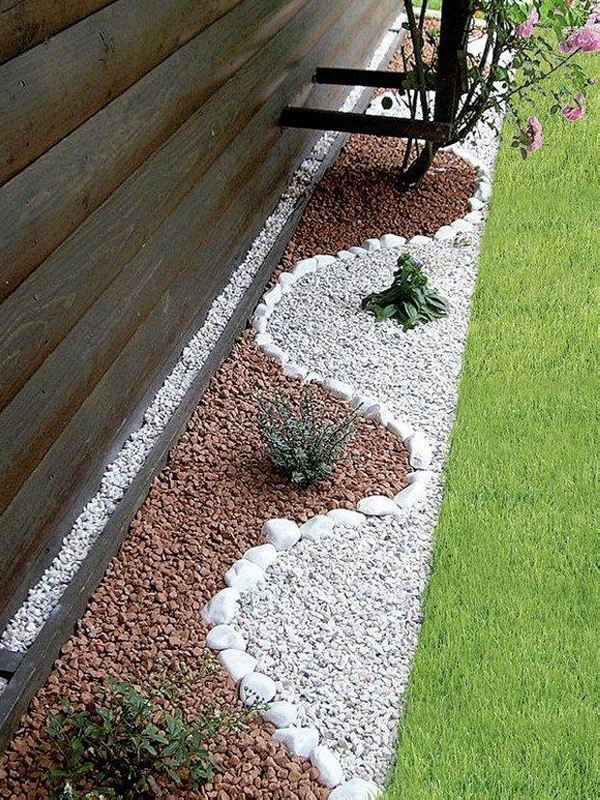 You can also arrange and organize your garden by just taking a few tiny steps. 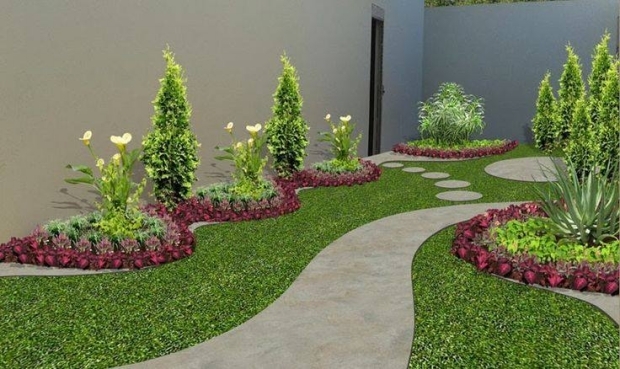 These steps may include some certain garden art ideas and ideas to enhance the beauty of your garden. 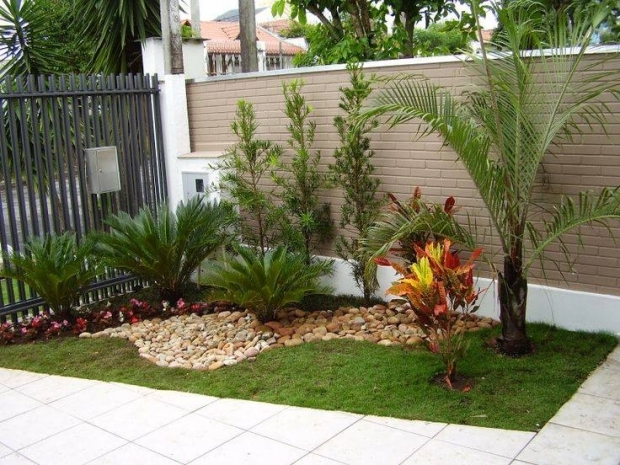 For instance here in the first idea of organizing your garden, there is a boundary of rocky stones along with some date trees which are pretty conventional in making fence line. 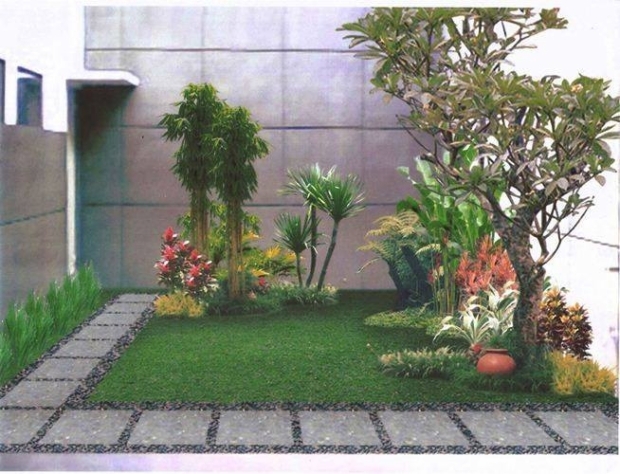 In the next idea, this is a tiny green landscape probably arranged in the patio of the house. Though there is a whole rocky base on the ground making a curvy passage way till the end with black rocky stones. 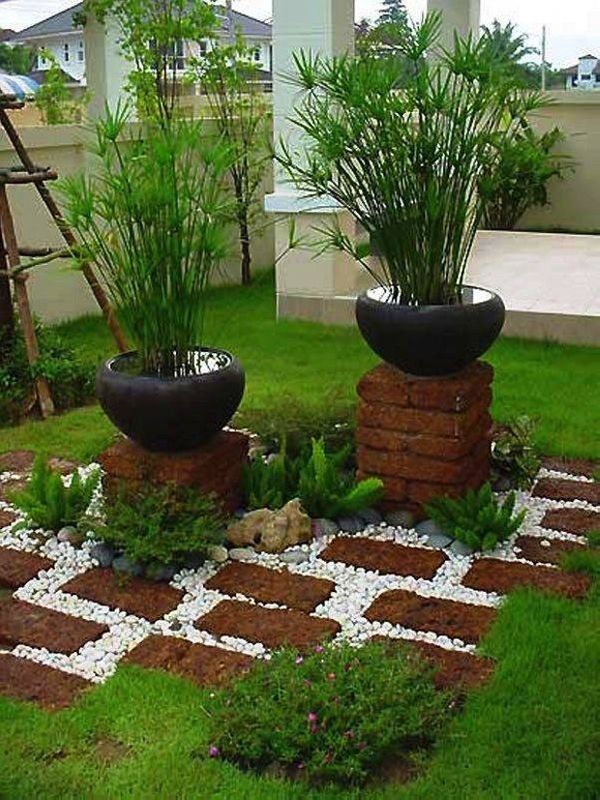 All this is nothing but just some great ideas to organize your garden. 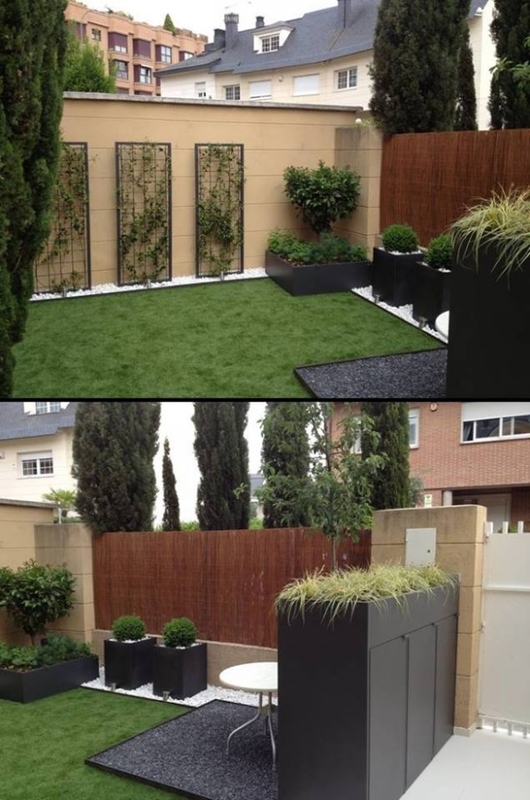 Though this is not a full fledge garden, small patio space is turned into a green landscape, then the garden is further beautified with some wild plants and additional lighting arrangements. 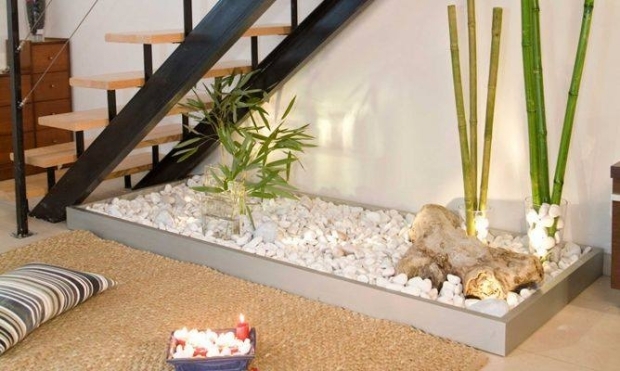 This combination of lighting arrangement along with rocky base are a few splendid ideas to organize the garden. Here we come across a totally different garden plan. The green area beginning from the last ceramic tile is a tiny little garden right inside the patio of a house. There are a few colorful plants plus rocky stones could also be seen here in the scene. Plus there are a number of big masonry jars added just for the beautification of the garden. 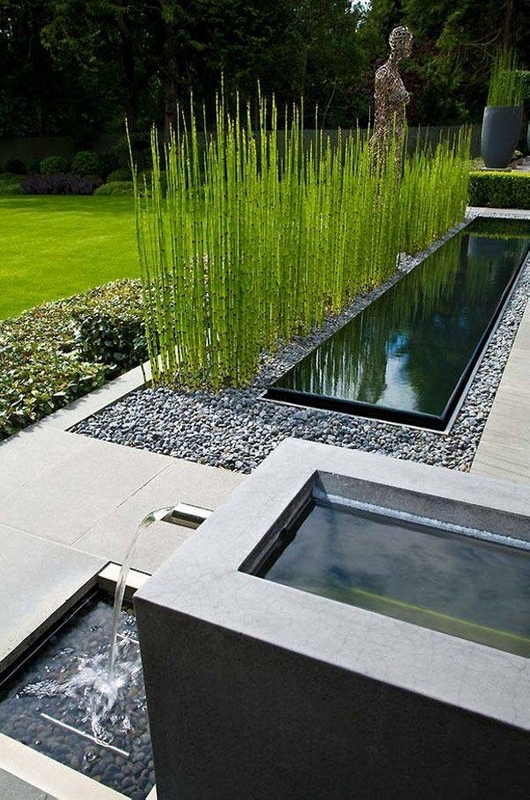 In this plan of organizing the garden, a number of things are used. There is also a cut base of a wooden tree which makes the scene complete to make it look like a full fledge green landscape. Here in another beautiful garden made right in the entrance of a huge house. 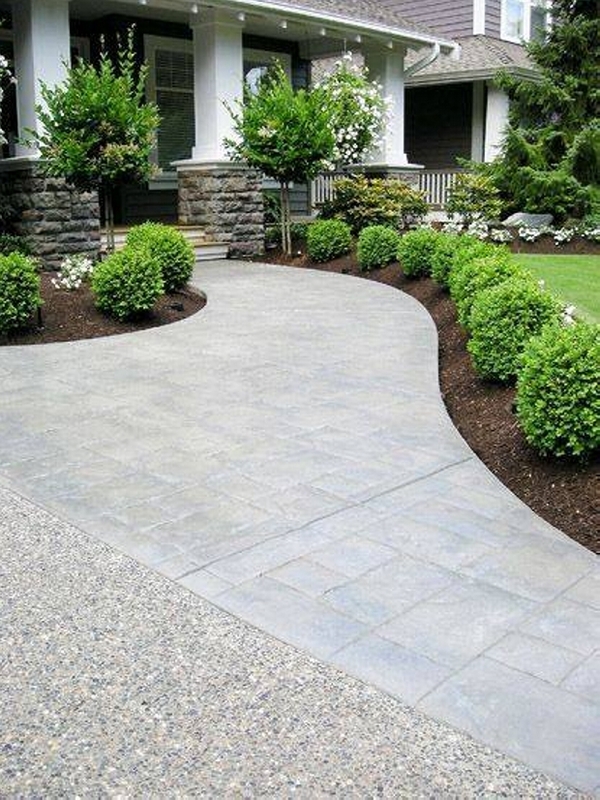 There is a green grassy are along with some decorative boundary specifications. There are also some concrete planters where some big trees are planted. 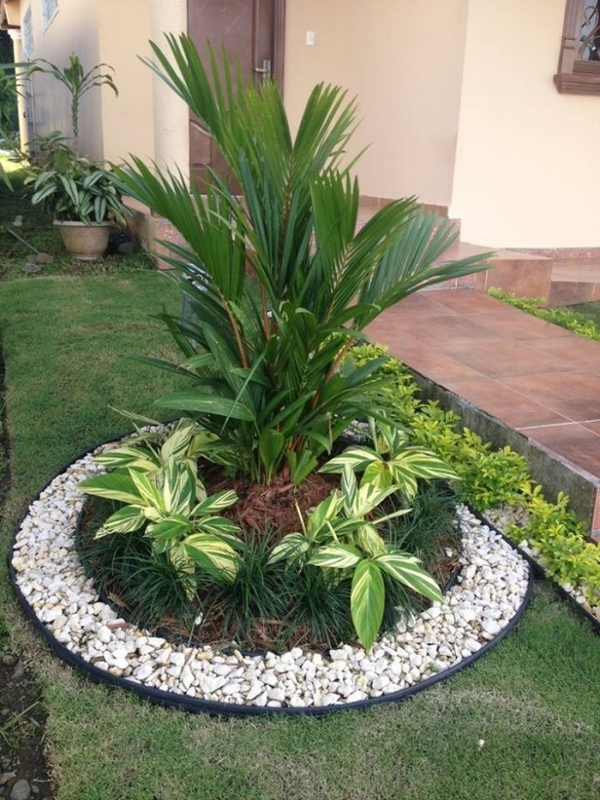 Plus some bushy plants are added to give a much loaded and fluffier look of the garden. Very smart organizing ideas are employed here in this garden. Despite of its tiny covered area, the methods used here are rally supporting and complimenting the whole garden plan. White rocky stones are again used on one side of the boundary. 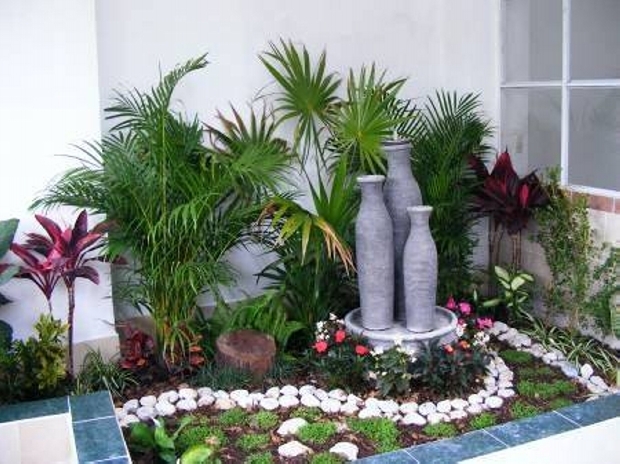 This again is a small garden made right in the entrance of the house to give much livelier look of the house. Again some appealing organizing ideas are used here in this plan. First and foremost organizing idea is its cornered space which enhances its appearance and presence in the house. Plus rustic rocky stones used in here make the appeal much louder and cleared. 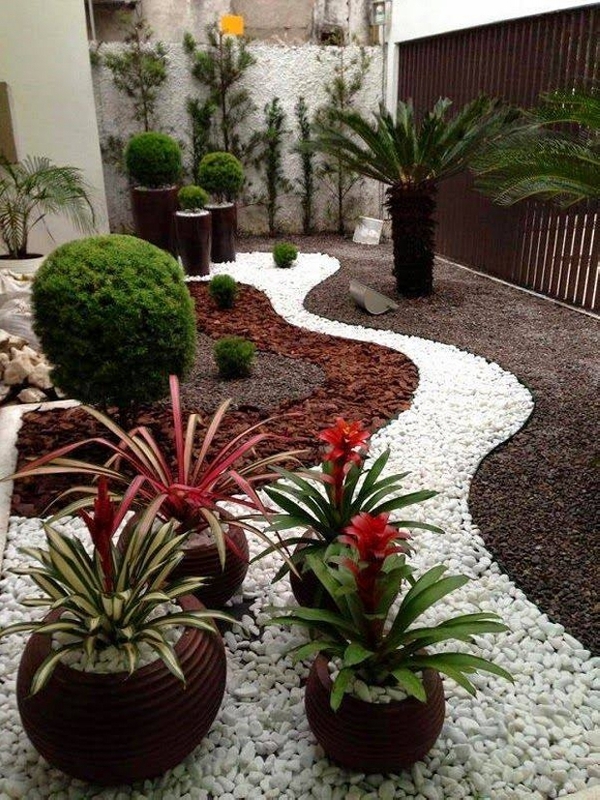 The rocky stones are not just thrown there but in a great organizing idea they are given a certain soothing shape which is escalating the beauty of pygmy garden in the house. 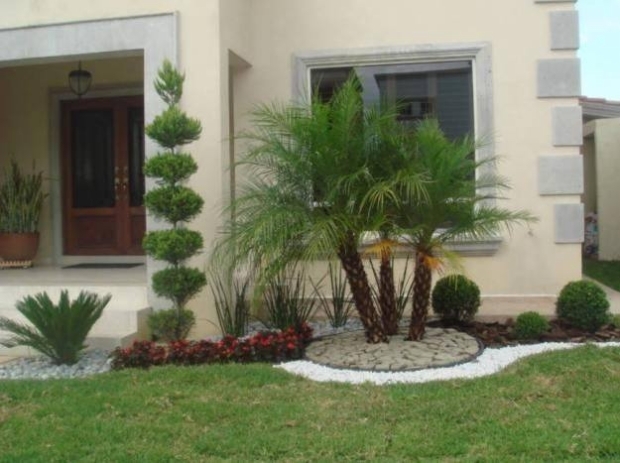 Last but not the least is a superb garden once again made in the patio of a big house. Its organization and appearance is so damn appealing that it immediately grabs the attention of every visitor of the house. 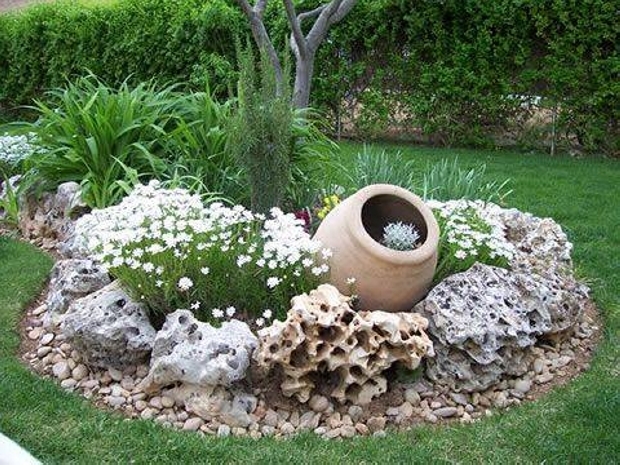 Small rocky stones are painted as bright white and they are spread all around the specified area of the garden making the whole base of the ground. 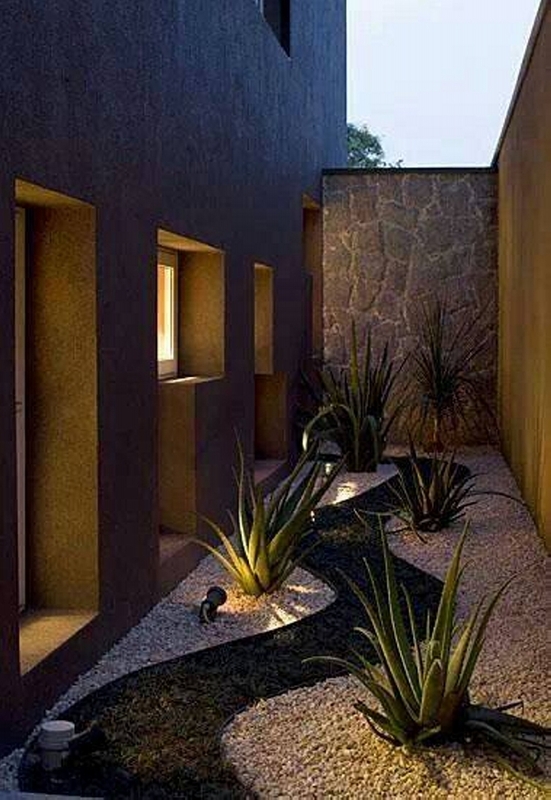 While the concrete planters are painted as dark brown contrasting to the white painted rocky stones. 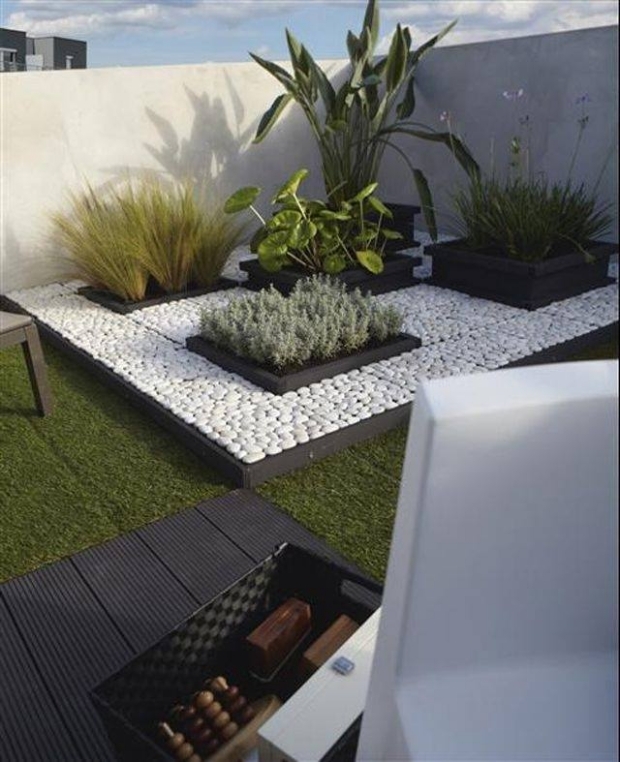 Some bushy and fluffier plants are used in here, a superb amalgamation of organizing ideas and innovation is demonstrated here in this garden idea.